Before you head out and shop for the subwoofer of your dreams, there are a few things you need to know. First things first, it is already an established fact that subwoofers for cars are currently used in a lot of urban areas. The type of music usually heard from car subwoofers are mostly tracks rich in bass and played at ear-cracking volumes thereby tremendously utilizing the subwoofer’s modulated low-frequency effects. Though the average subwoofers are placed inside the trunk of cars or installed below the vehicle’s rear window, latest car subwoofer models offer themselves to be placed in other un-used nooks, corners and crannies. Before buying a subwoofer for your card audio system, it is a must that you need to acquire some general info regarding car subwoofers. Car subwoofers are basically speakers hooked to amplifiers. There are basically two systems of car subwoofers – passive system and powered system. Subwoofers with a passive system are those whose power is dependent on the vehicle’s electrical system while powered subwoofers are driven independently from an isolated channel. Assess the current system that you have on your car. Subwoofer sizes are either six inches or sixty inches. The bigger the subwoofer size would mean a bigger amount of wattage and output requirements. Ask yourself, what are the usual types of music you normally listen to? If you are inclined to listen to rock or club music that have a lot of bass, large subwoofers are the best option for you. 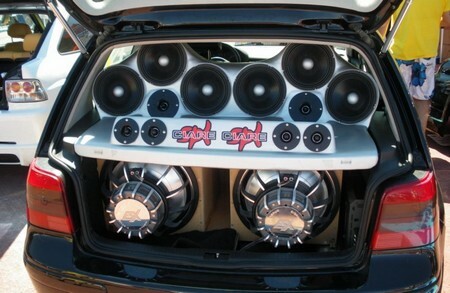 Make sure that you have an idea where to place your subwoofers. Believe it or not, special subwoofers enclosure now allows you to place subwoofers under your car seats or side panels. This of course depends on the space available in your car. You need to choose an exact spot that where you want to place your subwoofers and make sure to measure them just before you actually purchase a new subwoofer. What are your desired levels of subwoofer effects? The more effects your subwoofer has, the higher it’s price value. Set a price limit on yourself prior to shopping for the subwoofer of your choice. You might get overwhelmed and confused with the long list of subwoofer brands. Going to a subwoofer store is just one of the many steps in selecting and purchasing the right subwoofer for you. Decide early on if you need one or two subwoofers. A single subwoofer is just right for listening to rock, classical or country music while two subwoofers are suited for those who listen to R&B, techno or rap. 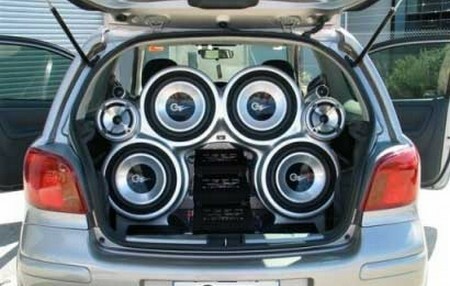 Your car space may also give you an idea just how many subwoofers you need. Subwoofer sizes vary. Common subwoofers range in size from 8 inches, 10 inches, 12 inches or 15 inches. When the subwoofer is large, its frequency production is lower. It is also necessary for you to consider the maximum RMS wattage. This determines the appropriate amount of power a particular subwoofer could handle. The more power a subwoofer is able to handle determines the sound a subwoofer is able to produce. You should also consider the subwoofer cone of the unit you are about to purchase. Subwoofer cones can be polypropylene, Kevlar, carbon fiber or aluminum. Do not forget the subwoofer surrounds. Surrounds made from rubber are always the best while those made from foam are okay. As much as possible, urethane surrounds are a big no-no. Take note that surrounds and cones have a tremendous effect not just on the sound quality but also on its longevity. Now that you have narrow down your choice of subwoofers because of the checklist above, it is now time to roll your sleeves and get to the heart of the matter. The following are good subwoofer necessities: low distortion and high definition (to have a semblance of realism & a sound that is definitely engaging), low frequency good extension (for bass authority you could feel in your nerves). A high definition subwoofer should have low distortion. Take note that a lot of subwoofers have a rate of distortion that range anywhere from twenty five to thirty percent, meaning- sound that lacks clarity and detail. Good figures in distortion should be about five percent less. Remember, a high def subwoofer has the ability to unlock a musical selection’s increasing resolution. Low frequency good extension subwoofers are experts in delivering the best bass that has the seeming ability to surround the listener with quality sounds. Take note that a lot of subwoofers only offer a mere hint of reproducing such frequencies but a closer look at their specifications reveal otherwise. A good quality subwoofer must have a frequency flat response down of 25Hz. The best ones are below 20 Hz. Usually at such a level, the bass is felt and not heard. Go for a clean, deep bass that could be thoroughly enjoyed at any type of level. Below are three of the best quality subwoofer brands: Pioneer, Alpine and Hsu. First up is the Alpine subwoofer. Alpine subwoofers are well known in the car audio industry as readily capable of adding volumes to one’s audio experience. They are also priced competitively thereby setting them apart from the others. The advantage of having Alpine subwoofers is that you can upgrade your unit from a seven-inch base subwoofer to a high-powered subwoofer plus a bass enhanced response that can enhance clarity. Alpine subwoofer type x offers quantities of incredible linear sound, improved SPL, high output, sound accurate quality and the unique Alpine High Multi Role Amplitude Surround. Hsu subwoofers – besides their attractive cube shape – is a product that is extremely stylish and could be appropriately adjusted and tuned to whatever preference the user deems it proper. Sounds from this subwoofer are loud and deep that it could rival those from more expensive and larger subwoofers. The Hsu STF-1 subwoofer comes in two finishes, the matte vinyl black and the matte vinyl silver. Its construction is intended to keep cost low while offering buyers reliable life service. Pioneer is also one of the top brands of subwoofers. Their subwoofers are universal, meaning they are not similar to American regional product brands that vary according to continent or country. Pioneer subwoofers always produce deep, crisp, powerful and clear bass that is completely undistorted regardless of it being in the low or high end. After all is said and done, the choice of the best and perfect subwoofer rests on you and what your needs and preferences are. It is hoped that this article has made the process a lot easier. The important thing is that in your search for the perfect subwoofer, the fun is in the journey not the destination. The right one is out there waiting for you. Enjoy the search.